17 weeks ago when this training cycle started Boston seemed like it was a long, long way off in the distance. Between me and Hopkinton stood 1,295 training and racing miles spread over 125 runs. A 5K race benefitting the local Ronald McDonald House, A 24-hour ultra-marathon relay from Miami to Key West, 3 Half Marathons and the Cap 10K were on the schedule. Not to mention the 10 different 20-22 mile long runs, miles of hill repeats and 8 Tuesday “doubles” to cross off the list. Boston was something that was still very “abstract”. Just a small dot of light on the horizon. Something that I knew one day I would look at my training calendar on the magic refrigerator and realize was a whole lot closer than we realized. There are still 391.10 miles left to go before we cross the finish line on Boylston Street, but at the rate we have been ticking them off, that is not a lot of time left on the clock. Yesterday I was trading e-mails with a runner friend of mine and I made the comment that Boston was going to be my “last” marathon. The race where I want to once and for all settle the score with Lady Marathon and especially payback some of what that race took from me in 2010. He was surprised to hear that I was going to be stepping back from the marathon and asked more or less “what gives?”. The honest answer is that I feel like I have given a lot to the sport of marathoning, crossed quite a few finish lines and I have my sights set on some new goals as I leave the 40-44 year-old age group and move on to the 45-49 competitve group. I would like to focus on the Triathlon and find out just what kind of triathlete we can become over the next 4 years. Running will of course remain a key component in that pursuit, as frankly it is my strongest area of the TRI, one where I have a competitive advantage over most other athletes in my age group. Some by a wide margin. Swimming and Cycling can be “lifetime” sports. As I get older I know that the pounding of 75 mile weeks, tempo runs and hill repeats are eventually going to start taking their toll. But swimming and cycling, while not “injury proof” sports – they do come with a much gentler impact on the joints, hips, knees and ankles. There is also something exciting about starting something new. Not being one of “the better” athletes in the field any longer at local events. I am going to have to do what we do best. Outwork people to fight our way to the podium. I will have to become a better swimmer. Much better. I will need to improve as a cyclist. Improve my endurance. Hold my speed over longer distances. I will need to maintain my speed and endurance as a runner. Continue to race events to keep that sword sharp and maintain my “edge” on race day. Of course one of the bigger reasons is little Landry. I want to be around more, not so tired from marathon training all the time. Chase her around the yard not worried about straining something or tripping over one of her toys constantly. I just want to be a Dad. Maybe a little skinnier Dad than some. Probably a lot faster than most. But just a Dad. Her Dad. Will I run another Marathon? I’m sure that I will. I’d like to return to the Pittsburgh Marathon on the 5-year anniversary of Dom’s cancer diagnosis and “Run for Dom” one more time. Make a difference in the lives of Nico, Sierra and Val to help add to their 529 College Plans. I would also like them to get to know me a bit better and understand how important their Dad was to so many of us and how much we all loved him. 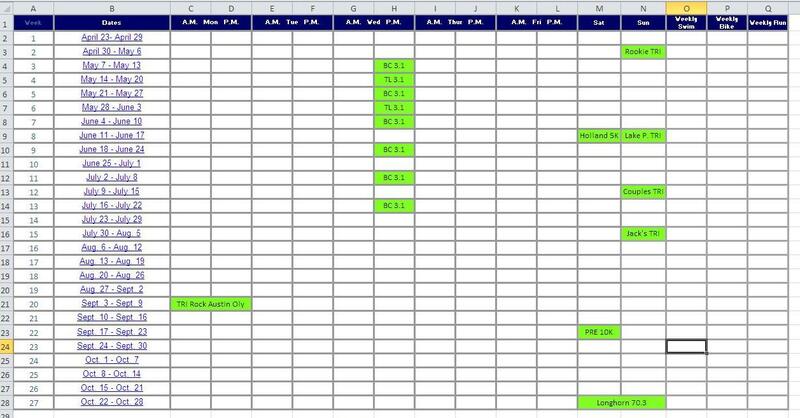 I started to put together the shell of our next training plan (below). The first thing I do when I am putting together a new training cycle is I identify “THE” event. The “A” race. The ultimate goal at the end of the journey. In this case it is the Longhorn 70.3 Half-Ironman on October 28, 2012. Everything else will build toward that race. I then look at local race schedules and other key events that I would like to participate in. Some of them we will make it to the starting line of. Others will not make the cut due to family commitments or what the training cycle for Longhorn demands. I know right now that TRI Rock over Labor Day weekend is a longshot. That is the weekend after Dawn and Landry’s Birthday’s and more than likely when we will have out-of-town guests coming in for Dawn’s 40th birthday celebration. The Prefontaine Memorial 10K in Coos Bay, Oregon is a race that I have wanted to run for close to 4 years now. I hope that travel and commitments will allow me to make it out there in September this year – but again, it is a longshot. Wednesday night’s will remain part of our speed training as we compete in the local Sunstroke Summer Stampede 5K series from May to the middle of July. I hope to make 8 of the 12 races to qualify for a possible award at the end of the series. There is the Holland, 5K that I race every year – hoping for a “four-pete” as an Age Group winner this year, although a local triathlon is the following day. Something might need to give that week. I will be heading back to Jack’s Triathlon this year around my birthday – back to the scene of my first ever triathlon to compare our performance on the same race course one year later. A good gauge to see where we are and how much further we still need to go. A couple other Triathlons dot the schedule, and I am contemplating on racing at the Cap TX Tri on May 28th, which would be our first “wetsuit” traithlon swim and first time at the Olympic Distance (1,500 Meter Swim, 28 mile bike, 10K run). A good stepping stone to Longhorn 70.3. The rest of the squares will be entered over the next couple of weeks when I finalize my race calendar and look at all of the personal commitments that I have, vacations, travel, birthday parties and those all important rest days. In the end by the time we cross the finish line in Boston our summer and fall plan will be in place, tacked to the magic refrigerator, ready to go. There will be some great moments over those 27 weeks. There will be some tough moments as well. Some failures, some victories, good days and bad. There will be hot days to train through, rain storms to run through, and mornings where staying in bed sounds a whole heckuva lot better than getting out there and giving it our best. We won’t stay in bed though. We’ll get out there and do what we need to do so that on October 28, 2012 we will get ready to enter Decker Lake a nervous first-timer at the 70.3 mile distance. A little over 5 hours later hopefully, we will be a Half-Ironman. That journey doesn’t happen by accident. It all starts with a blank page, hope, determination and desire. A runner friend of mine the other day made a comment that it seems that although I have trained seriously for marathons in the past – there was something pushing me even harder for this one. My workouts were tougher, more specific to the challenges the Boston Marathon course presents and I seemed to be tacking on a lot of higher mileage during this cycle. He said that it almost seemed like I was “out for revenge” or something. Revenge is a dangerous game. It was Confucius who said, “Before you embark on a journey of revenge, dig two graves.” The implication being that the desire for revenge may ultimately hurt the seeker as much as the victim. Redemption however, that is another story. It has been exactly 97 weeks since we crossed the finish line of the 114th running of the Boston Marathon on April 16, 2010. It remains an open wound on an otherwise very satisfying 5-year run as a marathoner. There are a handful of races where I would have done things a bit differently here or there either in my preparation for the event or during the race itself. But in those instances we are talking about a few seconds here, a few seconds there. In the case of the 2010 Boston Marathon I left several minutes on the course that day and in the process failed to reach the only tangible goal I set for the first marathon of two in two weeks for Dom. I wanted to re-qualify for Boston at Boston. 3:20:59 would have gotten it done. There are plenty of ways to go about running a 3:22 marathon and being proud of the result, finishing strong. Giving your best from the first stride across the starting line to the final kick across the finish. I didn’t do any of them. I had an abbreviated training cycle due to a shin issue – then proceeded to run a rather foolish race – completely unprepared for the opening downhill 14 miles from Hopkinton to Newton. When it was finally time to climb I had very little left in the tank. I suffered along Commonwealth Avenue to Hereford, made the turn onto Boyleston Street and crossed the finish line a beaten man. I have thought about that race every single day for the last 97 weeks. The experience changed me as a runner and as a man. I no longer ran workouts that were not for some type of purpose – even if that purpose was recovery. Each race built upon the one before it, where I would learn more about the sport, about preparation, about myself. How much did I have inside of me to draw upon when I needed it most? How much was I willing to sacrifice to achieve the goals I had set? How much was I willing to hurt? I also knew that above all else, I need to make it to Hopkinton this year in one piece and 100% healthy. I would have to be smart about the types of workouts I chose to add to my arsenal, and especially smart as I nudged my weekly mileage from 55 miles per week to 65 preparing for the New York Marathon in November, now to 75 miles per week for Boston. Jumping from 55 to 75 would be foolish. A 35% increase in mileage is a recipe for injury. But by building my base slowly and steadily over the past several months – we now sit on the precipice of something special. This week took us to a new mileage record – 76.75 miles per week – with quality workouts on Tuesday, Thursday and Saturday, wrapping things up with 22 miles on Sunday at 7:38 pace. Our fastest “long run” of the training cycle – just ticking off the miles at a comfortable pace, well below our race day goal of 6:52. As the mileage mounts I feel like we are getting stronger. Our resolve continues to harden. Today was the day where 2:59:00 became our hard and fast “A” goal for race day, save for a catastrophic weather day, where we will make sure that we run smart and adjust our goals accordingly. There can still be victory in Boston even if our goal of a sub 3 hour marathon does not fall. I want to retrace my steps from 104 weeks earlier and instead of being the recipient of a beat-down like the last time we battled Boston, I want to be the one doling out the punishment. There will be 26,000 other marathoners on the course with me in 7 weeks. With the exception of the 20 or 30 friends and acquaintances I know who will be competing that day, who I wish great success to, all the other runners to me are irrelevant. The last time I ran Boston I was running the race for Dom. Even though I hardly ever run a single mile without him in my head and my heart – this race I am running for me. It has been a long time coming. 2 years in the making come race day. 7 more weeks of training remain – we’re just sharpening the sword from here on out getting ready to battle lady marathon for perhaps the final time. Over the course of an 18 or 20 week marathon training cycle, the training and preparation for race day can be very much like the miles of the marathon itself. A series of runs and workouts that when added together, represent more than simply the sum of their parts. Running 1 mile is not a terribly remarkable thing. Racing one, only slightly more so. But stringing 26.2 of them together and they of course represent something much, much more significant. A Marathon training cycle is in many ways very similar. It is a period of time where no single run is all that remarkable. There are runs where you feel invincible, others where your weaknesses are exposed and some where you feel like you are hanging on by the slightest of threads. You simply move on to the next one, always looking forward, never looking back and keep our eye on the prize. Meet the challenge immediately in front of you and eventually you will reach the end-game. Whether that be the starting line in the case of your training cycle or the finish line in the case of the race itself. But every once in a while during the course of your training you stumble upon a run where despite the odds being stacked against you – you are able to push through the pain and fatigue to take things to another level. It is on those days that the runner becomes a marathoner. Not by crossing a finish line painted somewhere along a city street, but by taking the lonely strides, covering the difficult miles when nobody is watching. Tapping into a resolve that will be much-needed on race day, but grossly overlooked on an early Thursday morning 1,500 miles from home, more than 50 days before Marathon Monday. 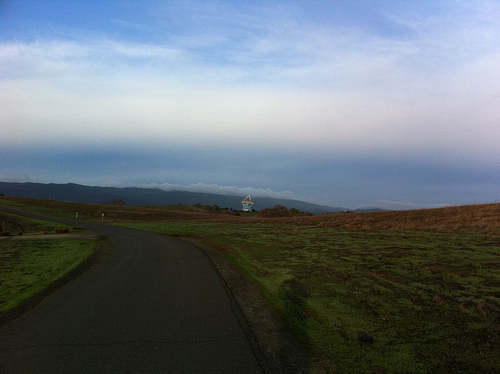 This week I ran those miles in Palo Alto, CA at a place the locals refer to simply as “The Dish”. After a tough half-marathon on Sunday I was going to have to adjust my training schedule to accommodate a trip out to the West Coast. Ideally I would have taken a rest day on Monday, ran a double on Tuesday (8.3 miles in the morning, 8.3 miles in the afternoon), run easy on Wednesday and then taken on our hill repeat workout on Thursday. This was not going to be possible with obligations and cross-country flights. Instead to get it all in, we ran 8.3 miles on Monday just 20 hours after crossing the finish line of the race, followed by our Thursday hill repeat session moved up two days to Tuesday morning and a 12-mile run prior to making our flight to California. By the time I woke up on Thursday my weekly mileage had reached 30.5 and we were back out running down El Camino Real in Palo Alto onto Stanford Avenue then turning toward the foothills and heading a little over a mile to “The Dish”. The Dish is an area just off campus where two incredibly large, almost cartoon large satellite dishes sit on the top of an outcropping of foothills pointed at whatever brilliant scientists point such things at. The 3.5 mile meandering trail system takes walkers, hikers and brave runners along a course with more than 750 feet of climbing and descent along the route. Keeping in mind that the entire “climbing” elevation of the Boston Marathon is a little over 600 feet spread over 26.2 miles, 750 feet is A LOT of climbing in just 3.5 miles. I of course decided to run it twice. 1,500 feet of climbs and descents in just 7 miles. With a 3 mile run to The Dish and another 3 miles back to the hotel, we had a nice little 13 mile workout on our hands. My experience is that when you hear about how hard an area to run is, it is usually not nearly as bad as its reputation. For some reason as runners we like to wear our battle scars proudly, making sure everyone knows just how challenging a race course or a trail system is. When you see it for yourself however, it rarely lives up to the hype. I was wrong about this one. After I reached the trail head and started climbing, I knew I was in for a fight. Up, up, up went the first rise, then a nice rolling downhill to the right led to another long climb. A falling section, followed by another climb, and another, and another. For the better part of 1.5 miles I went up higher and higher until I reached the first Dish. Off to the right it was an amazing sight, the absolutely monstrous satellite was pointed almost perfectly vertical on my trip with the sun coming up out to the East. The route took me further up and after a steep downhill chase section, I made the final climb up to the highest point on the trail just past the second Dish. 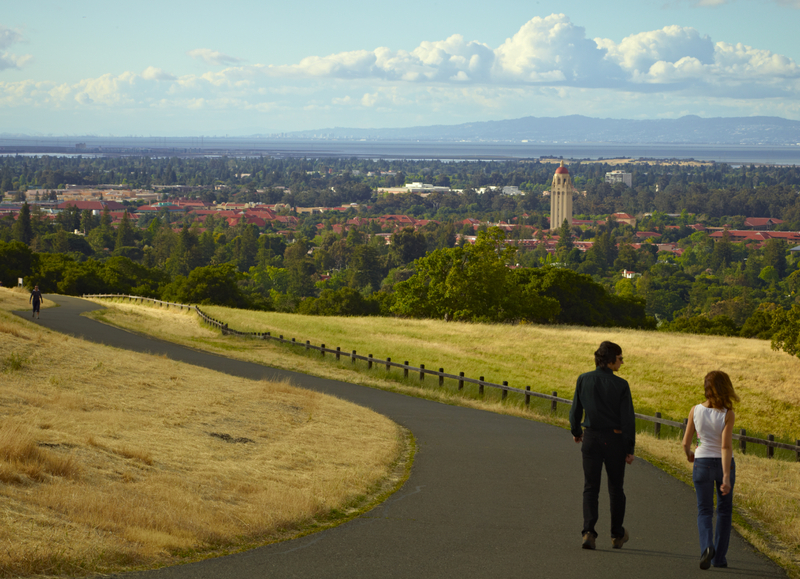 Off to my left I could look down onto Stanford University. On a clear morning with no marine layer I could see the city of San Francisco off in the distance and the San Francisco Bay on the horizon ahead. It was pretty breathtaking to be honest. So much so as I thundered back down the decline toward the trail head, I decided to go around for a second tour of the Dish. When will I get this opportunity again I thought. The hills were of course just as steep on the second trip around, but knowing what was coming was comforting. I now knew when the “downs” would arrive and how long the “ups” would last. I completed my second loop, thundered downhill to Stanford Avenue and ran at marathon race effort back to the hotel. Miles splits on Thursday were: 7:21, 7:19, 7:36, 7:29, 8:05, 7:26, 7:11, 8:09, 7:33, 6:54, 6:51, 6:58, 6:53. As I slowed to a walk on High Street in downtown Palo Alto I pulled my gloves from the waistband of my shorts, clicked off my iPod and stretched against a traffic light. I was now 43.5 miles into a 76.5 mile week. 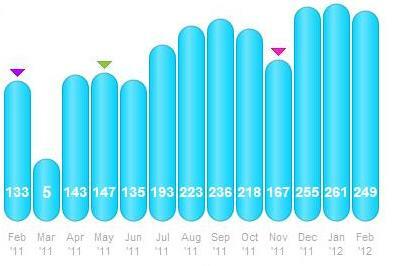 Another record mileage total will fall on Sunday when we wrap up our first 22-miler of this training cycle. We continue to march along the trail that will deposit us on the starting line of arguably the most storied marathon in the world. 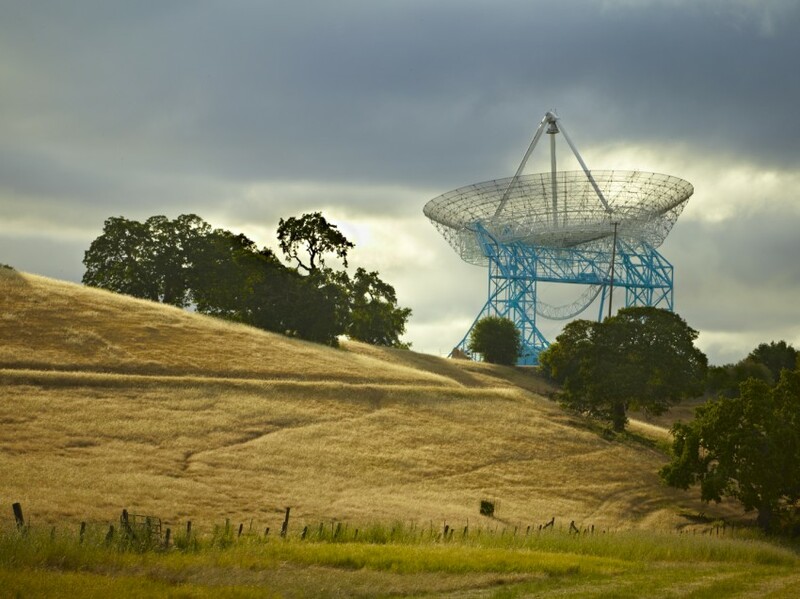 I doubt anyone we passed out in California took notice of the slightly built runner powering up and down the Dish on Thursday. No matter. I was there, taking another step toward Hopkinton, MA on April 16th where we are going to go out and run the race of our life. When we reach the Newton Hills we are going to gather ourselves and crush each of them one at a time. When we reach Heartbreak Hill just before the Boston College Campus we are going to run fearlessly, knowing that on a cool morning back in February we crushed hills that were twice as long and twice as steep. After we ran them the first time, we went back around and ran them again just for good measure. Just because they were there. Heartbreak Hill? Bring it on. The marathoner you tripped up back in 2010 may have the same name, but he is nowhere near the same man. I know that you have taken down many a confident marathoner over the last 115 years, of that there is no debate. But I’m not sure you know just yet how badly I want this one. What I am willing to sacrifice to get there. How much pain I am ready to endure. You are unaware of the limits I am willing to go to in order to once and for all cross your finish line and know that I have beaten you. I however do know the answers to those very questions. If I were you I would be worried about the slightly built little runner from Austin, TX. On Saturday morning, one day before the 2012 Austin Marathon & Half Marathon I woke up early and went for my standard 2-mile shakeout run. A workout that I do before every “major” race to remind the legs after a couple of rest days what they will be doing in about 24 hours. This helps get a little bit of blood flowing into the legs, wake them up from a 48-hour slumber of no activity and burn off a little nervous energy. Pretty standard routine for a runner. But as I dodged rain-drops on Saturday, catching a small break between the enormous thunderstorms we had blowing through Austin I found myself thinking more about what Saturday had in store for us than our race the following day. Saturday was a big day for our daughter Landry. She was going to be heading down to the Erwin Center at the University of Texas and meet the gang from Sesame Street. Elmo, Rosita, Abby Cadabby, Bert, Big Bird, Count Von Count, Cookie Monster, Ernie, Oscar the Grouch, Telly Monster, Zoe and her Daddy’s favorite character Grover. After our run-in with Santa Claus this year Dawn and I were a little bit curious to see what Landry’s reaction would be to seeing a larger than life-sized, walking, talking, singing and dancing version of her favorite Sesame Street characters up close and personal. Santa didn’t go so well. But as we drove down to the show I had a feeling things were going to go much better. We were fortunate enough to be able to get tickets to a “meet and greet” photo session with a couple of the Monsters before the actual show. 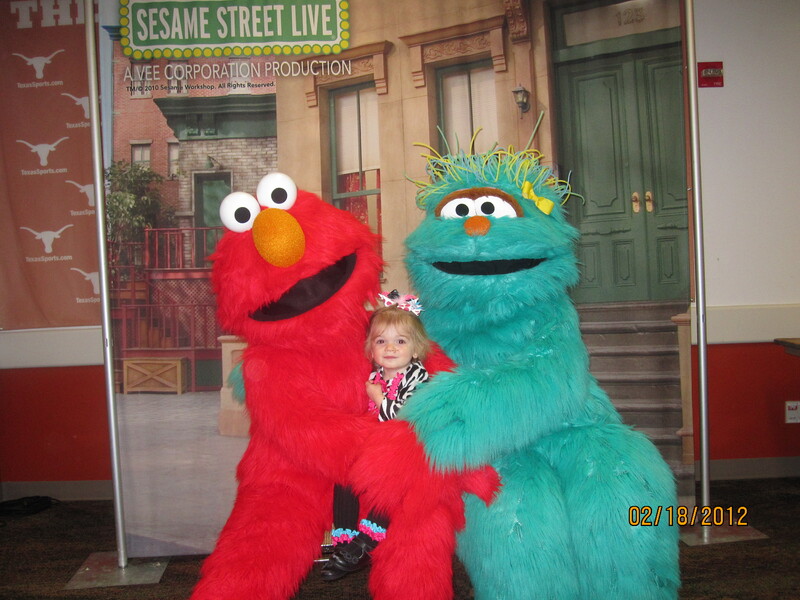 I was hoping that Landry would enjoy meeting the Sesame Street gang pre-show in a smaller format would get her excited for the rest of the morning. As we gathered in the room with a few other families and their children Landry was very outgoing. Walking around, checking things out and having a good time. Completely unaware what was about to happen. Landry was in Dawn’s arms when the rear door opened and Elmo and Rosita came into the room. She immediately started squirming, kicking her legs and wanted to rush up to see the Monsters. Put me down Mom! Put me down! 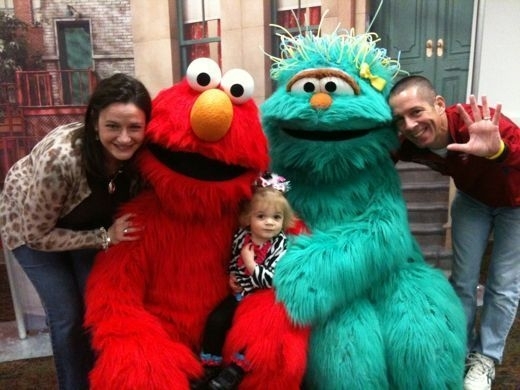 After a few kids had their picture taken with Elmo and Rosita it was Landry’s turn and like the big-girl she is rapidly becoming – she walked up to Elmo all on her own. 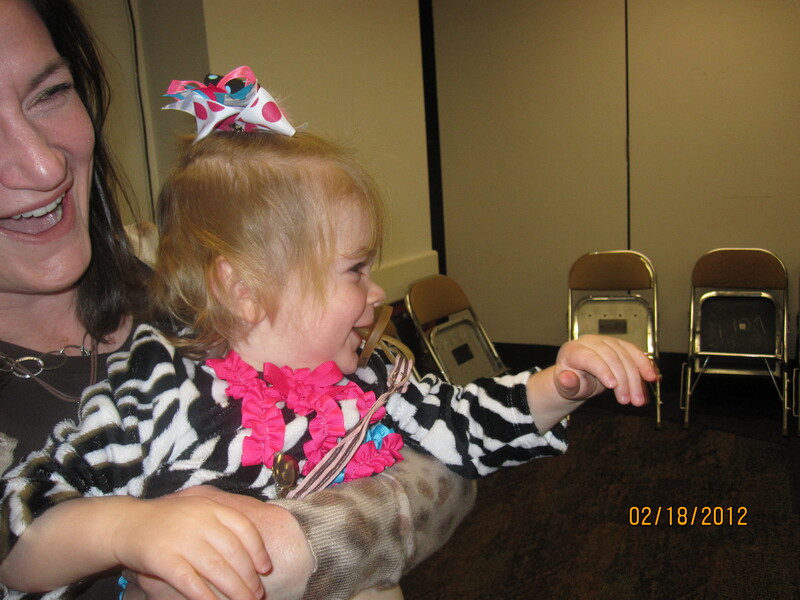 Slowly at first, then Elmo reached down, picked up Landry and placed her on his lap to many “Awwws” from the crowd. A few photos were taken and it was time to hop down and get ready for the show. 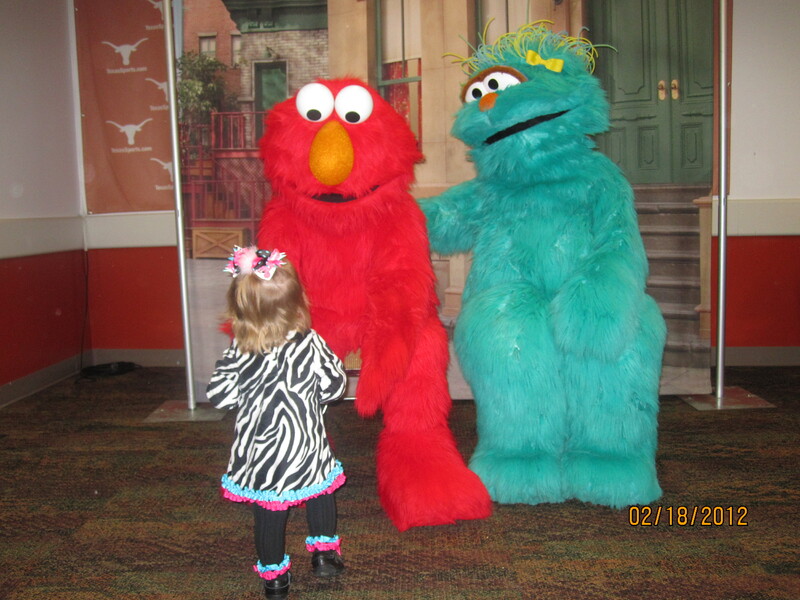 Landry sat in the front row and could hardly take her eyes off of her Sesame Street friends. She would briefly give a short cry when they would scurry off the stage at the end of a scene, before they would return and she would be riveted once again. She made it through the both acts and the intermission – having the time of her life. She even scored a new Big Bird stuffed animal and a soft-pretzel for her troubles. Throughout the morning I would steal glances at Landry and could not help thinking that I needed to be paying close attention to my daughter. She, like most young people, has a lot of lessons to teach us if we take the time to watch them carefully enough. Instead of being frightened or unsure of what was about to happen, she just relaxed and enjoyed herself. Stayed in the moment and let the day come to her. Took in the good parts, the exciting times and “went with it”. Something all of us should remember to do – especially when we are faced with a new challenge. I tried to take that attitude with me to the race course on Sunday. Before the race I talked with other runners, stayed relaxed, did not stress about the monster hills we would be facing – or how hard the race was going to get over the last 3 or 4 miles. Instead, I celebrated the day. Tried to enjoy being out there doing something that I love to do. No pressure, no “what if I don’t/can’t break 1:25:30” or “what will that mean at Boston” entered into my mind. I ran the course, tried my hardest, ran fearlessly and in the end laid down something pretty special. I have filed this weekend away to draw on in 25 days when we race again at the Shamrock Half out in Virginia Beach as our final tune-up before Boston. I will be in a city I have never visited before, running a race course I have never seen. I won’t have my family with me; it is essentially a business trip. To finish off this training cycle with one final tough push before wrapping things up and getting ready to run the race of our life in Boston. Instead of thinking about all of the things that can go wrong or if the weather is bad, the course is hard or whether or not I am able to run a smart, tactical race – I am going to think about Landry. Keep it simple. Go out and have fun. Do your best. Try your hardest. Celebrate the day. I have a feeling we’re going to be pretty happy with what the clock has to say at the end. Thanks Landry. Daddy loves you. Race Day started like so many have before. An early (4:20 a.m.) alarm clock, a sleepy start to a shower that by the time the last few bubbles of shampoo are washed away a very awake runner now has a full case of race-day butterflies swarming about. As I dried off and stepped on the scale to check my pre-race weight, the scaled ticked over to 136.5. My PR weight for the half-marathon down to the last ½ pound. I like to run the half about 2 lbs. lighter than a full marathon and I was spot on exact with my pre-race weight. Not that anything the scale told me would have changed my strategy very much out on the course, but I did notice a sense of calm come over me as I stepped off and started to get dressed in my race gear. The weather this year was just about perfect for racing. 45 degrees, very little wind, and anything that was blowing was going to be coming from the WSW. A far cry from the 68 degrees at the start of last year’s race, with gusting North Winds blowing 18-22 mph and humidity over 85%. As miserable as the conditions for the race were last year, they were equally perfect for the 2012 Livestrong Marathon and Half Marathon. I opted for shorts, a light long-sleeved shirt, light gloves and a throw-away hat that I would drop to the street sometime over the first couple of miles. I got a sleepy “good luck babe” from Dawn as I was sneaking out of the bedroom in the dark, loaded up the truck and made the drive downtown, pulling out of the driveway at 4:55 a.m.
Pre-Race: I drove down Loop 1 (Mopac) to the 5th street exit, headed East toward the capital, made a quick left up to 7th street, a right on Colorado and parked one block from gear check and the exit to the finish area. Perfect. I was a little bit early, checked a few e-mails, read the paper online and at 6:00 I locked up, hit the porta-potties and made my way over to check my race bag. I had eaten my pre-race bagel chased with a grape Gatorade on the drive down, we were all set to walk over to the start area, shake loose a bit and get ready to rumble. I took a few short easy strides on my toes to test out the legs. My legs felt the most well-rested they have in weeks. Taking an extra off-day this week really seemed to make me feel light on my feet. The Start: I chatted with a few runners, gave some course advice to a couple of out of towners and at 6:40 a.m. made my last “pit-stop” before it was time to get in the starting corral. I made my way up to the front of the 3 hour marathon pace group just behind the Elite Men who were in their own starting corral. The 3 hour guys would be heading out at 6:52 pace. We would be about :30 or so ahead of that target running only the half-marathon. I decided to hang back just a bit further than I normally would as I wanted to be sure not to get sucked into starting too fast on the opening rolling downhill(s) that carry runners over the first two miles of the course. I reminded myself to just run by feel and don’t start working until mile 8. That would be the first time we would start “racing”. Everything to that point would be a disciplined start. The Austin course sets up perfectly to be broken down into smaller, manageable “chunks”. Miles 1&2 roll downhill with a few uphill climbs to keep runners honest. Race too hard here and you won’t have the strength that you will need late over the final 4 miles of the course. Miles 3-6 are straight uphill with no breaks to the top of South Congress. Miles 7-9 are back downhill and fast to Cesar Chavez. A couple rollers, but net down, down, down. Miles 9-12 are where the race course starts to really take it to the runners. Uphill after uphill after uphill. You get brief downhill sections to reload and go from climb to climb. One of the toughest sections of a race course you will find anywhere. Mile 12-Finish – A cruel 85 foot climb over ¼ of a mile starts the final mile. If you didn’t prepare for it, it can really take you down. If you are ready for it, it can serve as the “kick-start” to your final push. Once at the top, don’t back off effort and simply hold that effort and intensity to the finish line. 5 sections of course that require 5 different approaches. I thought that if I could run at least three of them perfectly, and hopefully four, I could have a big day. Mile 1-2: After a few words from Lance Armstrong and a rousing live rendition of the National Anthem they counted down the clock and with a flash of fireworks above the starting line – we were off. I settled in behind a couple of speedy runners and got ready to navigate the 90 degree right turn that occurs only 2 blocks into the race. For the second consecutive year I was able to take the turn relatively tight with no issues, we made another tight turn two blocks later and finally I had some open street to call my own. I didn’t glance at my watch at any point over the opening mile, just waiting for the beep to come as we approached the left turn on to Guadalupe. As we reached the end of the first mile I glanced down – 6:14 pace. I was hoping to open with a mile between 6:15 and 6:20, which would put me on pace for an opening 5 Kilometers just under 20:00 minutes. Just about a perfect start. Mile 2 is another fast mile with a straight shot down Guadalupe with no turns, just a water stop to navigate on the left, and then a 90 degree left turn along Cesar Chavez over to S. Congress. This mile went by in the blink of an eye as I took off my knit cap and tossed it to the side of the road at the beep for mile 2. 6:12 pace. A bit quick, but nothing too terribly foolish, thankfully the course was about to put the brakes on me no matter what. Time to climb. Miles 3-6: As we started to head up S. Congress I made a point to pick a straight line in the road, marked for bicycles and just let it lead me to the top. I kept even effort, not any harder, not any easier and let the 56 feet of elevation do their job. Mile 3 came in at 6:22. Our opening 5K of the race came in at 19:48. Just :12 seconds off of our goal time for that section to the good. Fast, but not too fast. The first test of the day was passed. The first major hill hits the runners on the 4th mile, a climb of 107 feet to the top, think of an 11 story building, with no downhill breaks to reload. I felt very relaxed, shook out my arms and focused on keeping my shoulders and jaw loose. A tip I picked up from my runner friend Scott McIntyre. Mile 4 came in at 6:41 pace. It would be my slowest mile of the day, and it was supposed to be. No panic, just keep climbing. Mile 5 is still an incline (47 feet), but it feels like a break after the previous mile. I locked in to a runner ahead of me and decided to just keep him directly in front of me, I placed an imaginary string from his waist to mine and let him pull me to the top. Mile 5 came in at 6:31 pace. Our 5 mile time was 32:22. I was hoping to crest mile 10 with a time of 1:04:30. We were essentially spot on pace. Mile 6 features a final hill up the exit ramp on Ben White Boulevard up to the right turn onto South 1st Street. Another 50 feet of climbing, but whether it is the more gradual grade or the knowledge that the climbing is about to end for a few miles, it feels easier. Mile 6 came in at 6:25 pace. I had run the first gauntlet of hills in 6:41, 6:31, and 6:25. Now it was time to get it back together and make it happen. Miles 7-9: At the start of mile 7 I received a big smile and shout from our good friend Bea who was working the water stop. It made me immediately relax and appreciate all of the volunteers out working the course. We were about to drop 134 feet in elevation, it was time to have a little fun, but I knew that I still needed to be cautious. If I simply bombed away here I would start to tax my quadricept muscles in my legs that I was going to need to climb the final 3+ miles of the race. Just stay even and smooth I thought as I started to lean a bit into the hill, kept my hips and pelvis tucked underneath me so I wouldn’t “brake” down the hill and let my legs go to work. We made the left turn onto Cesar Chavez and I started to reload for the final section of the course. It was about to get difficult, but I guess that is actually the point in all of this. Miles 9-12: Mile 9 is a microcosm of the Austin Course. The first half is downhill and fun to run as you drop 33 feet in the first half mile. You then start to climb and end up taking on 34 feet of uphill running to close out the mile. Mile 10 came in at 6:34 pace. My race time at the 10 mile mark: 1:04:16. We were :14 ahead of our race plan. I enjoyed a brief “attaboy” moment, but it was short-lived, things were about to tilt in the favor of the race course and I wondered if despite my best effort to that point to run smart – had I still gone out too fast? Mile 11 starts out with a sharp incline, followed by some rollers – I could feel the course starting to fight my legs a bit, but with 5 kilometers remaining it was not time to start pushing just yet. Mile 12 is very similar to the previous mile as it rolls up and down, only the hills are much steeper. 74 feet of climbing, 79 feet of descent. I took my final sip of water from the aid station and dug in. We reached the end of mile 12 in 1:17:18 as we came across the timing mat. I tried to do the math quickly, but was having a hard time adding everything up. If we were able to tackle the final two hills on the course without giving away too much time, 1:25:00 was very possible, in fact, it looked like it was in fact pretty likely. Just the matter of the 94 foot hill in front of us at the start of the final mile. It is hard to do the picture of what a hill like that looks like to a runner at the end of a race. You would swear that you would need some sort of grappling equipment and special shoes to scale it as you approach. But as you reach the actual hill, it’s best to just put your head down a bit, pick out a spot 100 meters ahead of you and run to the spot. When you get there, pick out a new spot and run to it. Reach that one, pick out another and so on until you reach the top. No sense in being scared of it or feeling sorry for yourself. It’s a hill. Get over it. The Finish: I was running behind a local runner-friend of mine Rush Hemphill as we dug our toes into the hill. I pulled alongside Rush and we ran it together, up, up, up. With every 20 meters I tried to tick the legs a little harder, this was the point in the race when normally we would drop the hammer and run the hardest final mile possible. Same drill this time, only you could not feel the normal acceleration, the hill was fighting every stride. As we reached the top we exchanged a brief fist-bump. Both of our breathing too ragged to risk a joke or a comment. Time to drop the hammer. We powered down the downhill payoff after the climb, made the right turn back onto San Jacinto and then took on the last hill of the day. A final turn onto 11th, then a left onto Congress just south of the TX Capital and I emptied the tanks. I hit the timing mat with a time of 1:24:07 (official), wrapping things up with my fastest mile of the day by :05 seconds, despite the challenging hill(s). We finished with the 69th fastest time in the race, 3rd place in our Age Group. 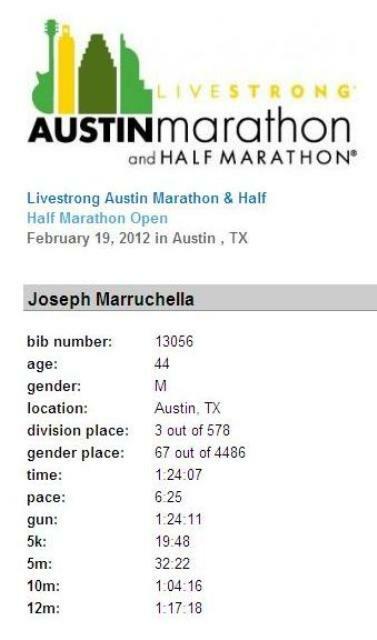 Our second time that we have placed in our age group this year at one of Austin’s “Major” races. Pretty special. This was the race that I was truly hoping to run. A smart, strategic race – while still leaving it all out there. I did not play it too conservative and leave minutes on the clock, nor did I run foolishly and blow up at the end of the day. In a word, or at least two words, “near-perfect”. My opening 5 Kilometers of the race were 19:48. My final 5 Kilometers of the race were 19:51. This was exactly the type of race I was hoping to run at least one time out of our three half-marathons leading up to Boston. 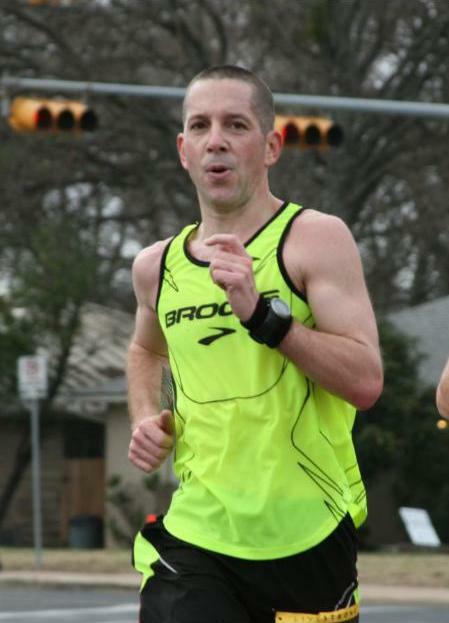 The Texas Half in the stiff 20 mph wind back in January unfortunately did not allow for this type of performance. Next month at the Shamrock Half in Virginia Beach, we may have another tough weather day or simply not “have it” that morning so late in the training cycle. But on this day, we ran our race and posted a time just :12 seconds short of our half-marathon PR on a course that is at least 2-3 minutes “slower” than the 3M course where that PR was set, perhaps more. Our time projects in the McMillian Running Calculator to 2:57:14 as our “marathon potential”. Boston of course is a difficult marathon, no doubt about it. Race conditions on Sunday in Austin were essentially “perfect”. Those are two variables that you cannot discount. But all that said, I’m starting to really like our chances of breaking through that 3 hour barrier in April if we get the right weather. It’s a little early to start watching the weather, but never to early to start praying to the Gods in charge of such things. All we need is a fighting chance on April 16th and we’ll let our racing take care of the rest. Hey Dom, hope you enjoyed this one – Happy Birthday my brother. Two weeks ago I started using the RESTWISE Recovery, Science & Technology system to monitor my training intensity and my body’s need for recovery and rest. My hope was that RESTWISE would enable me to keep moving the needle forward in preparing for the race of my life in Boston on April 16th, while ensuring that I get there 100% healthy and fully recovered from my training cycle to do battle on the most storied marathon course in the world. To PR at Boston this year I am going to have to have absolutely everything come together for me in a perfect storm of events. Training, health, focus, determination and of course a little help from the weather Gods. If all of those variables come together like I hope they will, we should be making some personal history making the final turn on Boyleston Street at just about 1:00 p.m. on Patriot’s Day. RESTWISE was developed by an impressive team of athletes, scientists and mathematicians who were able to design a weighting system blending scientific data with the athlete’s own subjective self-analysis to produce a recovery score out of 100. This score, and especially the trending of the score, alerts the athlete when they are running an increased risk of overtraining and/or injury. Please click the link above for a brief description and overview of their product. Every morning for the past two weeks I have faithfully recorded my resting hear rate, blood oxygen saturation level and weight and entered it into the RESTWISE App on my iPad. I then answered the 8 quick questions regarding my sleep pattern, energy level, mood, appetite, training performance from the previous day, whether I am ill, if I have any muscle soreness or an injury and finally my hydration level based on my “urine shade”. What is interesting is that before using RESTWISE, I did a few of these things on my own every morning ablbeit in a much more subjective fashion. I would weigh myself and mentally calculate that vs. the previous few days. Was I dehydrated? Did I need to be more careful and perhaps take a water bottle with me on that morning’s run? I would think about the sleep I got, how I felt and if I had any soreness or a new injury brewing. I would evaluate those readings; assign some sort of “mental score” to it and then go for my run. If I struggled during the workout, I would chalk it up to not feeling good. If I nailed it, I would pat myself on the back and think, “man, you’re a warrior – great job”. But never once did I think about skipping a workout or altering it in any way. Never. I ran the workout as scheduled because as an endurance athlete – that is what we do. We overcome obstacles. We persevere when others wouldn’t. We don’t back down from challenges, we embrace them. More often than not, I feel like I am that runner. Out there in the rain, wind, heat, humidity, hammering away when others would not. That’s all fine and well, until it isn’t. RESTWISE to me is a tool that provides me with an opportunity to check myself and my ego at the door. By looking at a tangible, scientifically derived score from a respected recovery model – the same model Ryan Hall used to run the fastest American Marathon time in history at last year’s Boston Marathon, I can “KNOW” when I am in need of recovery, and the next, most important step is to alter my training plan to accommodate it. If I am at 60% recovery level and need a break, I can move that morning’s hill repeat session to later in the week and just run easy – or take a day off – without feeling “GUILTY” that I caved in. That I didn’t push harder when times were tough. I can leave those moments for “digging deep” for race courses and not feel like I have to tap into them on a training day. Training is all about pushing your musculature and aerobic capacity to new levels, then providing recovery so those stressed muscles and systems can adapt to new levels. Without the “recovery” stage, there is no adaptation – only a breaking down of the systems. Leading to poor performance, injury or both. I get it now – 100%. Time to not only be a tough athlete, but to become a smarter one as well, with those two tools in my toolbox, we might be very tough to beat as marathon season moves to triathlon season and we move up to the 45-49 year old Age Group at the end of July. Am I really going to be 45 in July? Holy Moly. So after two weeks, what did RESTWISE Tell us? The screenshot below tracks my recovery level day to day, peaking at 100% on a couple of occasions (Feb. 4 and Feb. 10), spending most days in the 80% to 90% range. What is interesting is to see the downward trend that started on February 11th and then bottomed out on February 12th – reaching a low recovery score over this period of 40%. The green line that I chose to include in the chart (you can include as many of the variables as you would like to track in the graph) shows my training performance. Most days it was normal or above normal, but as we reach February 11th and 12th, my performance suffers badly as my need for a recovery day increases more and more. 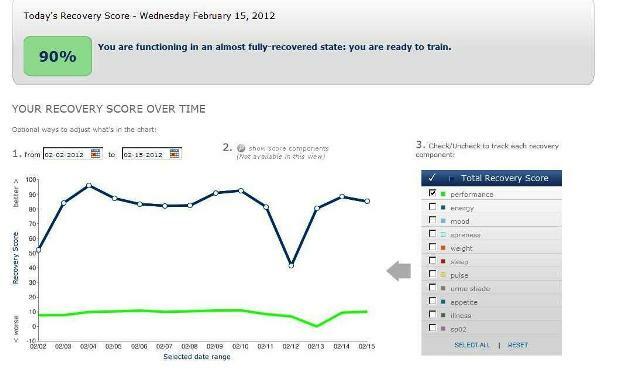 After taking a rest day, both my recovery score and training performance rebounded nicely. “I will run my easy workouts easy, allowing me to run my hard workouts hard”. Avoiding the pitfalls of overtraining, and never really being rested properly to give max effort on the days that call for it. For the first time in a long time I’m starting to think that the Boston Marathon should start feeling a little bit nervous about me on race day, and not the other way around. 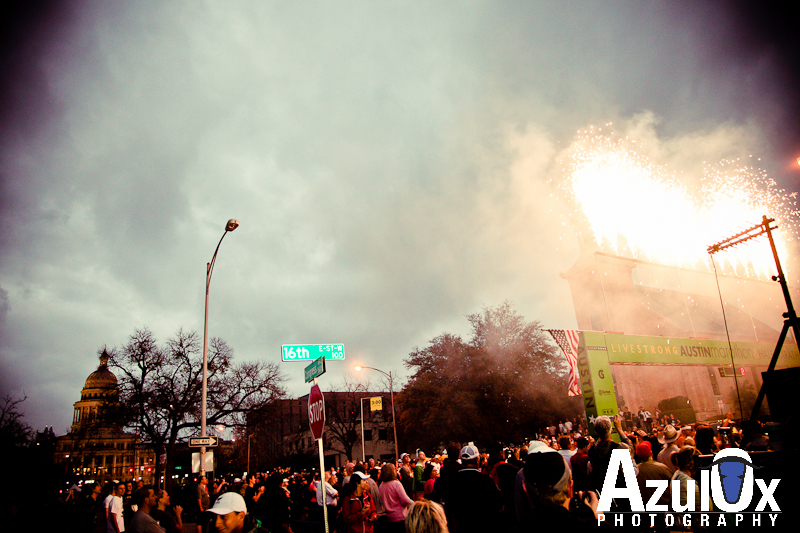 It has been almost a year since last year’s Austin Marathon. A race that if I try hard enough, I can run the course over and over again in my mind. Part of it is due to the fact that it was the first local marathon I had ever completed, allowing me to not only drive the course a few times prior to race day, but also allow me to run large sections of it beforehand. If you race enough in Austin on some of our downtown courses, you are eventually going to run a majority of the marathon course miles. The Run for the Water 10-miler, The Congress Avenue Mile, The 3M Half Marathon, The SI Labs Marathon Relay all feature portions of the marathon course – there are only a few areas of the race that go “untouched” by other local events throughout the year. This year however on the road to Boston I am not running the full marathon, only the 13.1 mile Austin Half Marathon, which means that as runners head North to Exposition and on to the “top half” of the Marathon Course, I will be making a right turn off of Winsted Lane onto Enfield just before Mile 11 and running an area of the city I have never tackled before. One of the hilliest and toughest areas to “race” in our city. I wanted to get a firsthand look at these hills to help me finalize my race plan and start to visualize the opportunities I will have to push pace a bit on Sunday, where I need to run smart and reload and just how much I am going to have to “leave in the tank” for the closing 2+ miles of the race, which are as unforgiving as any I will have ever run at the end of a road race. If I run a similar strategy to The Texas Half a few weeks ago, I am going to crash and burn in a big, big way on the Austin course. That is not opinion, that is fact. This is going to be the most technical of all of the three half-marathons I will be racing preparing for Boston – giving me a tremendous training opportunity to run smart and stick to my race plan mile after mile no matter what is happening around me. Exactly the type of race I will need to run if I am going to PR in Boston. Once again, EXACTLY. So how does the race set up? 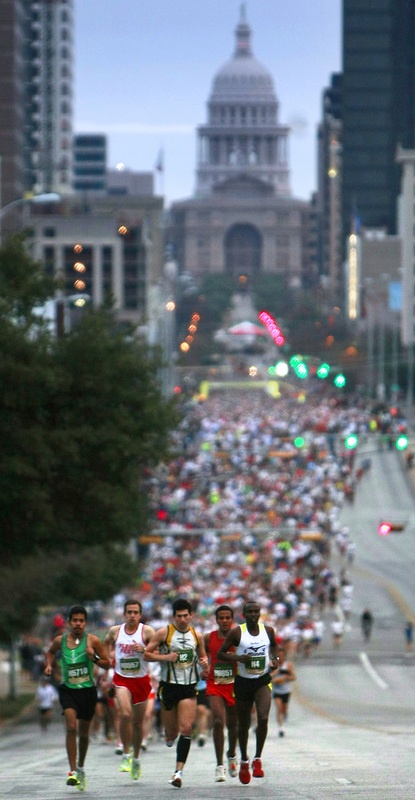 The Start: Runners will gather on the North Side of the State Capital on Congress Avenue. Flags flying in the pre-dawn light for a 7:00 a.m. gun time. Close to 20,000 runners between the marathoners and the half-marathoners, it will be quite the spectacle. I will need to be lined up with the first 150 runners or so to get out clean and fall into rhythm. Miles 1 & 2: The start will take runners on a slight downhill stretch from 16th street to MLK Boulevard where the crowd will make a 90 degree right turn and then another right turn onto to San Jacinto just two blocks later. I will want to find a good spot on the righthand side of the road, careful to not get caught against the curb, but close enough to tangent tightly. Things will start to spread out just a bit on San Jacinto as the road goes 6 lanes wide and the runners crest the hill up to 11th street. This hill is the final climb on both the marathon and half-marathon courses before making the final turn to the finish line. It won’t seem like much of a climb over the opening mile – more of a nuisance than anything. But the second time the runners reach this spot at the end of their respective races, it is amazing how much “higher” it appears to have grown after 12 or 25 miles raced. It is cruel and somewhat brutal that late in the race. On 11th street we will reach the 1 mile mark and make a quick left turn onto Guadalupe. This section will begin a long, steady, descent that lasts virtually the entire 2nd mile. This is the time when many runners are going to make their first mistake of the day. They are going to drop pace and try to “bank” some time while they can with long climbs up S. Congress (Miles 3-6) and the stretch from Winsted to Enfield (10-13) to come. This is the part of the race where I am going to rein it in. Run smooth, let runners pass me by and just lock in on “effort”. 6:30 effort is going to be the name of the game, that might result in a mile split around 6:20 or 6:15 which will be o.k., but nothing faster. The smarter I run this part of the course, the better my finishing time is going to be. :10 seconds slower here may very well gain runners :20 to :30 seconds late in the race. Miles 3-6: This is where the initial excitement and downhill start begins to subside and the Austin Course starts to fight back. After reaching Cesar Chavez the runners will turn left for two blocks and make a right turn onto the Congress Avenue Bridge, immediately after crossing Town Lake (The Colorado River), the course starts to climb up, up, up for the next 2+ miles through the hip South Congress Area, past the Magnolia Cafe where my post-race breakfast will be, and up to Ben White. After a right hand turn onto Ben White the runners will run up the exit ramp and make another right turn onto S. 1st. With the climbing done, it’s now time to drop the hammer and gain back some of the time lost climbing South Congress. Miles 7-10: The next three miles are quite frankly a blast. If you were able to navigate the first half of the course to this point and stay within your limits, it’s time to run free and easy and make up some time. After a little bit of a rolling start to the first downhill stretch along S. 1st street the course just falls away from you. A nice relaxed downhill grade, steep in some sections that deposit runners at a water stop on the right hand side of the course just past mile 8. This will be a water-stop I skip actually, as I will start to work my way to the left side of the S. 1st Street Bridge and prepare for the left hand turn back on to Cesar Chavez. Mile 9 and most of mile 10 will provide a gentle downhill stretch as well, the only exception is where the road begins to climb as the course approaches the entrance to Mopac (Loop 1) in the last 1/4 mile of mile 10. You better have enjoyed the ride down to this point, because there is nothing but climbing left until the finish. Miles 11-13: Here we go. Legs are starting to feel heavy, 5 kilometers left to race. Lactic Acid has been slowly accumulating and your quads are starting to feel heavy. It’s go time and the course is about to get pretty gnarly. At the start of mile 11 the course heads up a steady incline along Winsted Lane. There are no breaks, just up. At Enfield, just before the 11 mile mark the course turns to the right and you start to head towards the Capital and the finish line. But there is still more than 2 miles to go, and it is up, up, up. Just before reaching Lamar Boulevard the course will provide one downhill stretch for you to gather yourself and get ready to climb again, it is steep and refreshing, but it is short-lived. One of the toughest parts of this stretch is the way the course actually “looks”. As you come thundering down the hill at the midpoint of mile 12 you can see nothing but the mountainous climb that is waiting for you on the other side of the bottom. Pace is going to slow dramatically here, even fresh legs would struggle up this incline, dropping :30-:45 seconds per mile at this point would be a victory over this stretch of the course. It will more than likely push us into the 7:oo+ pace area as we fight to the top of 15th street and finally make the right hand turn back on to San Jacinto and retrace our steps to the finish line. There will be that last, final hill to crest, the same hill we tackled at the end of the first mile of the race before we can then turn for home and let gravity pull us to the finish. Finish: Outside of the Denver Half-Marathon I cannot remember a steeper close to a race course. Once the final right hand turn is made onto 11th Street at the top of the last hill it is time to empty the tank 100%. A fast city block will pass, followed by a 90 degree left-turn onto Congress Avenue and the finish line and chute will be there in the first 1/4 block. Probably the greatest “Finish” to any Austin race held in the city. It is a well-deserved downhill respite after a long punishing race. Goals for the Race: To me this is a tough course to estimate a finish time on without ever having run it before. When a runner has previous race results to compare setting a goal-time becomes a function of training, the weather on race day and effort. It is easy to look back at a previous performance, drop :15-:45 from that finish time and set the bar. We just won’t have that luxury this time around. That said, I am looking at 1:27:00 to 1:27:30 as the range which will be considered a “win”. That would put is in the 6:37/mile range vs. the 6:32 we ran at the Texas Half on January 28th. Anything faster and I think we are running the risk of blowing up too early and having nothing left for the final 2+ miles of racing. I expect to be passing a lot of runners on the way in if I can run a smart opening 6 miles. Again, this is really just a dress rehearsal for Boston, where running a smart opening 14 miles will be the goal. It takes a lot of patience to really “nail” a race on a technical course. We are going to be tested on Sunday, of that I am certain. At the end of the day, this race is going to be about effort and feel more than sticking to an individual mile split on my watch. By 8:30 a.m. on Sunday morning we’ll find out just how well we are handling this training plan to date and whether or not we may be pushing things a bit too hard. One thing for sure. It is going to be interesting out there.